Nationwide Bail Bond Companies & Bail Bondsman Insurance Directory. Bail Bonds and Immigration Bonds. Find Bail Bond Companies and Bondsman at BailYes.com Bail Bondsmen. Bail Yes A Nationwide Bail Bondsmen Directory. YES!, WE ARE OPEN 24 HOURS. Bail Yes .Com is a Nationwide bail bond service provider and jail directory. AAA Bail Yes Bonding Agency is a licensed Florida bail agency and the website sponsor. Local bail agents with years of experience in the bail bond business. Upon request we can help you find a Bail Bond Agent in your area. Florida based agency serving State bonds and Florida Federal Nebbia bonds. Call for service 1.800.224.5937. Pay Bail Bonds by Phone, All credit cards accepted. Bail Bonds, Bondsman, Bonding Agents at BailYes.com directory. BailYes.com Bail Bondsmen, National Jail Directory. Welcome to BAIL YES. We realize that being arrested can be a traumatic experience. At Bail Yes Nationwide Bail Bonding Agencies, we understand the stress and potential awkwardness of contracting a bail bond agency. We are here to assist you and your loved ones in your time of need. All agents are highly trained and dependable. We know that time is extremely important. Please call us to speak to a Bail Bond Professional today. Call 1-800-224-5937. We know you have many choices out there and selecting a bail agency (bail bondsman) is a very important decision. Bail Yes © legal directory gives you this opportunity. The site is designed to help you understand the bail bonding process, anticipate what to expect when posting bail, and to help you find the bail bond agency that is best suited to help you. The bail bond process varies from state to state, but understanding the basic rules regarding posting a bail bond will help you make a more informed decision when time is of the essence. 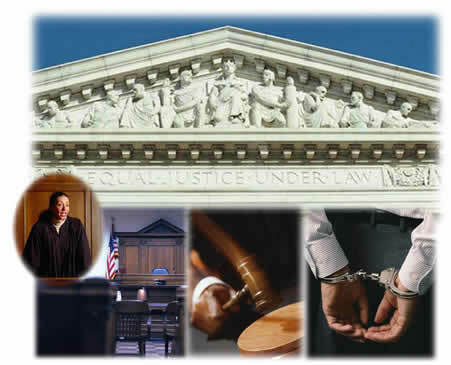 We have also listed in this legal directory criminal defense attorney law firms by state for your convenience. Call 1-800-224-5937 Bail Bondsmen on Duty 24/7. For your convenience we are open 24 hours 7 days a week. Bail bonds service twenty four hours a day. Bail Yes Bonding, Florida Bail Bond Insurance Agency. Bail Yes .Com is a bail bond directory providing state, federal and immigration bond, corporate surety bail bond information, Nationwide jail directory and bail agent listings. AAA Bail Yes Bonding Agencies the website Sponsor Advertiser is a Florida licensed bail bond agency. Copyright 2002- 2012 AAA Bail Yes Bonding Agencies, Inc. BAIL YES™ Trademark. All rights reserved. First use 1995.